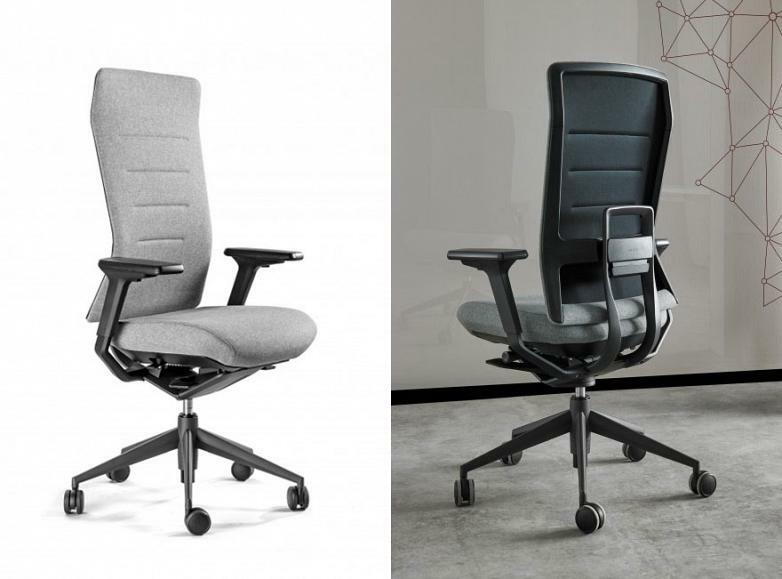 The characteristics needed to make a great work chair are fundamentally based on its ergonomics, enabling it to be adjustable, to have a good lumbar support, that the support is sufficiently high enough to provide rest for the back and neck, that it has a sufficiently wide seat, preferably with arm rests to prevent muscle recharge, and furthermore rotation. To date, bear in mind these properties were sufficient, with a design focused on the support and rest of muscles and bones. Actiu has initiated a new and innovative stage in the field of office seating and from now on, by sitting on the new TNK Flex you will have an experience as comfortable and gratifying as wearing your favourite jeans. The time has come to touch! Actiu, through its Research and Development team, together with the industrial design studio, Alegre Design, has gone a step further and created TNK Flex, the operational and executive chair which anticipates, in an intuitive way, the needs of the user, adapting itself to the morphology and movements of the human body and adjusting the backrest and seat as if it were a second skin. TNK Flex provides two fundamental developments which are going to revolutionise the development of office furniture at Actiu: an evolution of what is understood to be until now ergonomic design, technology applied to this chair based on the support and haptic interaction with the user, meaning haptic sensory perception received through contact that occurs in any part of the human body and which is closely linked to movement. “From this comfortable and stable seat of the user, we have created an intelligent backrest, in an orbital way that brings the back home automatically adjusting all movements without the user having to activate any mechanism”, said Alegre. 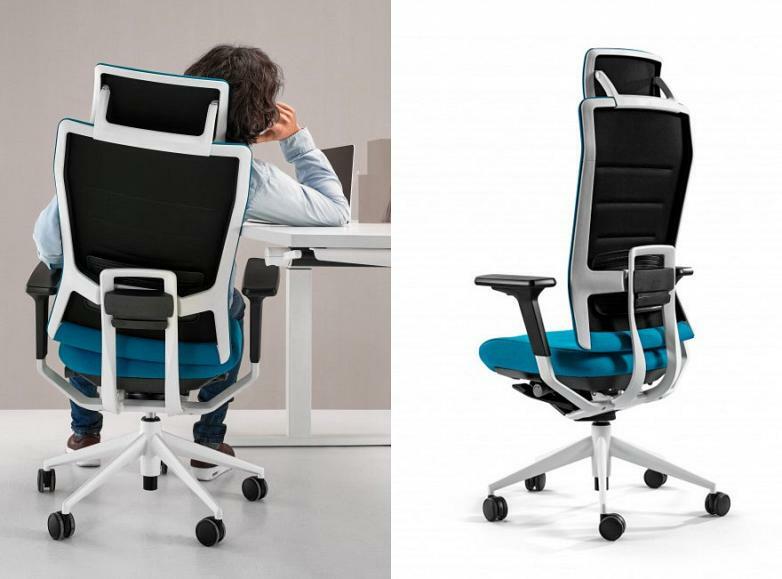 The seat is the starting point from which the user is supported by a totally adjustable backrest, (height, inclination, torque) which interprets the user's movements and is ahead of them, with a soft dance, which provides total freedom of movements in daily work, maintaining the correct ergonomic posture at all times and with maximum efficiency. TNK Flex is a chair which contains a high technological level that has been reached thanks to the desire to excel and constant improvements leading to almost 50 years of experience in the office furniture sector and especially in the development and innovation of the operative chair. 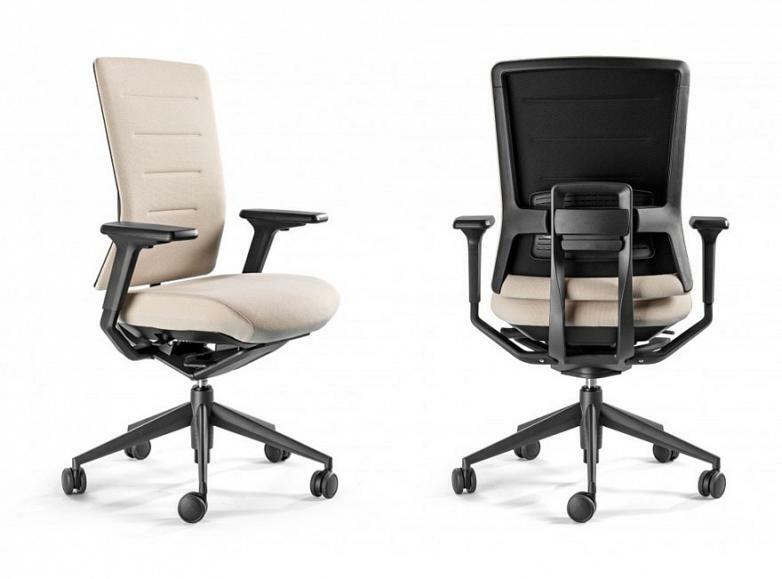 Destined for more demanding users and environments, it is a product which brilliantly combines the five fundamental pillars in office furniture: performance, quality, ergonomics, design and competitiveness. All this without sacrificing high standards of safety and respect for the environment and commitment to manufacture 100% of its products on the premises of Actiu Technological Park in Castalla, Alicante (Spain). Numerous studies show that movement promotes creativity and improves productivity. Thanks to the set formed by the seat and back of the TNK Flex, designed to guarantee a perfect fit and designed with an active element, the user can move freely, leading to a great freedom in the use, for example, new technologies, and activation of muscles, reducing fatigue, stress, tensions and increase their efficiency and productivity, always with the aim of keeping the body and mind healthy. The TNK Flex uses the technological platform from the TNK collection providing a unique and timeless design. This chair emerges from research and development which the company has carried out over the last 15 years in collaboration with the design studio Alegre Design.This journey has converted Actiu into a benchmark in the manufacturing of office furniture in general, and in particular office chairs, which began in 2006 with the development of the TNK chair and its synchro mechanism . (R), a worldwide patent of technological innovation that has positioned the company in a worldwide level in the development and manufacture of quality and high performance operational seating. Along with the TNK family we have developed other strategic seating families such as Winner and Stay, as well as, the award-winning and iconic brand, TNK 500.